Nitro Manufacturing is a machine shop located in Hamburg, New York, in the Buffalo, Western New York area. 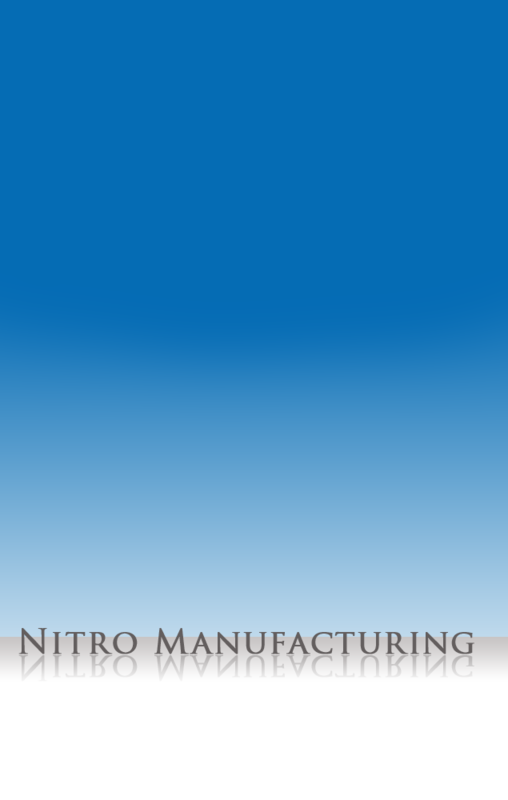 Nitro Manufacturing is staffed by professional machinists with over 45 years of experience in the industry. Our professional staffs’ capabilities include CNC Machine programming, set-up and precision CNC machining in all metals as well as plastics. All Nitro manufactured parts are inspected with the latest inspection equipment and procedures that meet or exceed industry standards. Our flexible scheduling and modern equipment allow for quick turnaround times to meet all of your company’s needs. Prototyping and small orders are no problem. We not only meet the needs of Buffalo and Western New York, we ship nation wide. International traffic in arms regulations compliant and member of the Buffalo Niagara Manufacturing Alliance. Our mission is “quality machining when you need it"